I listen to old radio plays and this company sponsored some of them so today I wanted to find out whatever happened to this iconic brand. The earliest records suggest it was founded in 1911 by Electric Autolite. They started off manufacturing a generator for car and buggy lamps. 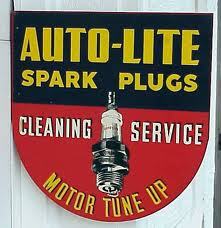 In 1935 they began to manufacture spark plugs. A few months later, the company was selling their first spark plug. Electric Autolite's products were expanded further to include: Starting Motors, Generators, Regulators, Ignition Systems, Wire and Cable Products. Autolite enjoyed instant success, as it had secured supply contracts with leading car manufacturers such as Chrysler, Studebaker, Packard, and Willys. The Toledo Auto-Lite strike was a strike by a federal labor union of the American Federation of Labor (AFL) against the Electric Auto-Lite company of Toledo, Ohio, from April 12 to June 3, 1934. The strike is notable for a five-day running battle between roughly 6,000 strikers and 1,300 members of the Ohio National Guard. 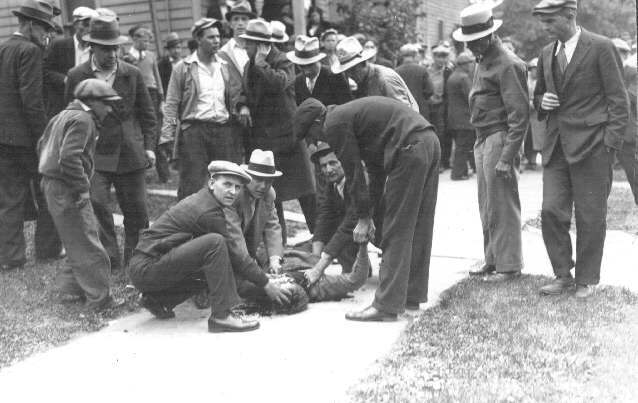 Known as the "Battle of Toledo," the clash left two strikers dead and more than 200 injured. The strike is regarded by many labor historians as one of the three most important strikes in U.S. historyIn a 1940 promotional film, Autolite featured stop motion animation of its products marching past Autolite factories to the tune of Franz Schubert's Military March. An abbreviated version of this sequence was later used in television ads for Autolite, especially those on the 1950s CBS program Suspense, which Autolite sponsored.In 1961, seeking to enter the profitable aftermarket auto parts business, the Ford Motor Company acquired the Autolite tradename, an Ohio spark plug factory, a Michigan battery facility, limited distribution rights, and the services of several employees. Autolite products became standard original factory equipment in Ford vehicles. A federal antitrust lawsuit was filed against Ford, which dragged on through the remainder of the 1960s, and Ford was forced to sell its Autolite-related assets to the Bendix Corporation by 1973. In 1963, the portion of the Autolite company which was not acquired by Ford merged with the Merganthaler Linotype Company and the 'Eltra Corporation was formed. Former Autolite motor phase of the company became the Prestolite Motor and Ignition Company, laterPrestolite Electric. In 1973, the Bendix Corporation had purchased both Fram and Autolite. In 1980, The Eltra Corporation is acquired by the Allied Signal Corporation which became Honeywell in 1999. In 2011, Honeywell sold its automotive consumer products group to the Rank Group, which set up FRAM Group, LLC and several other companies to take over the operations and the transfer of ownership of the acquired trademarks. Autolite is currently led by President Donald J. Nelson, Vice President of Marketing Bruce Bruemmer, and CFO Darren K. Allen.